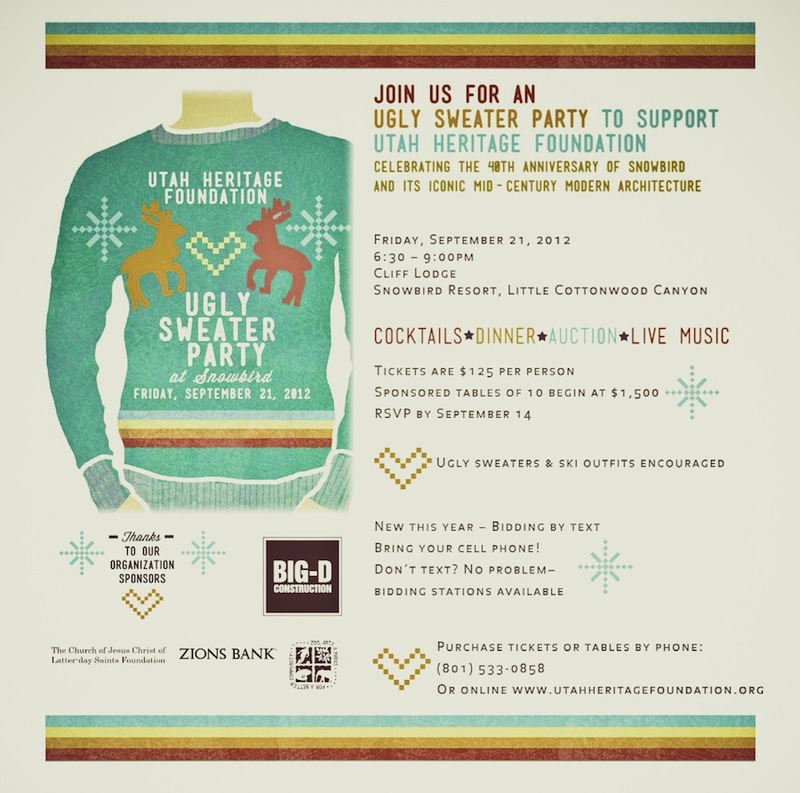 The Utah Heritage Foundation will host an Ugly Sweater Party / Fundraiser, and the COLLECTIVE will be be seated squarely at our sponsored table in the Snowbird Cliff Lodge. Join us, friends. This will be fun. ** A winner will be recognized for the ugliest sweater, so put in some effort, eh? 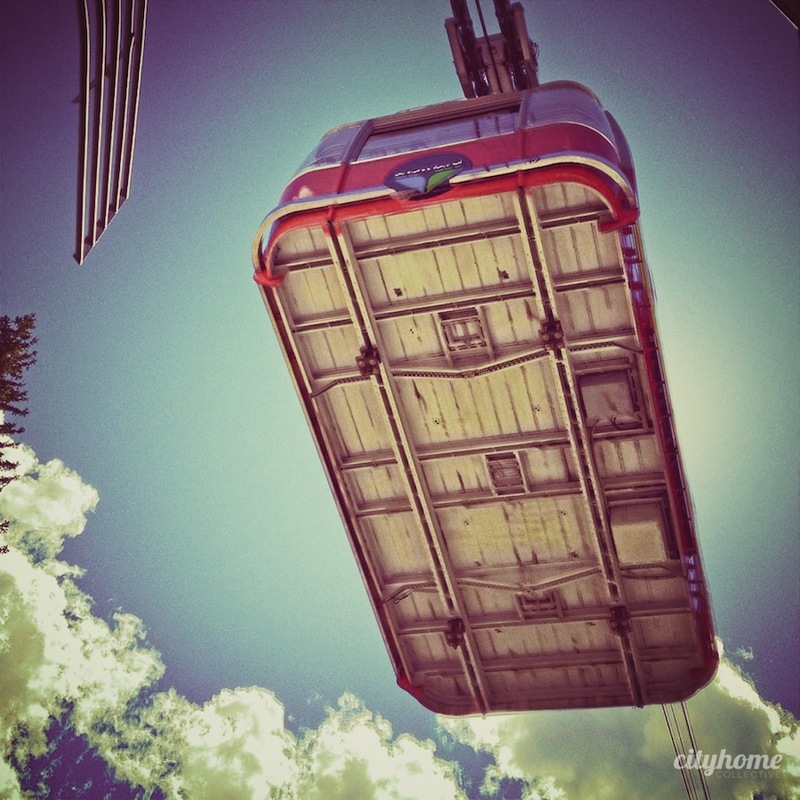 In celebration of Snowbird's 40th Anniversary, Salt Lake Modern will be hosting a tour of Snowbird the next morning, Saturday, September 22 at 10:00 a.m. This is a super opportunity for those interested in learning about the history and iconic mid-century modern architecture of Snowbird. 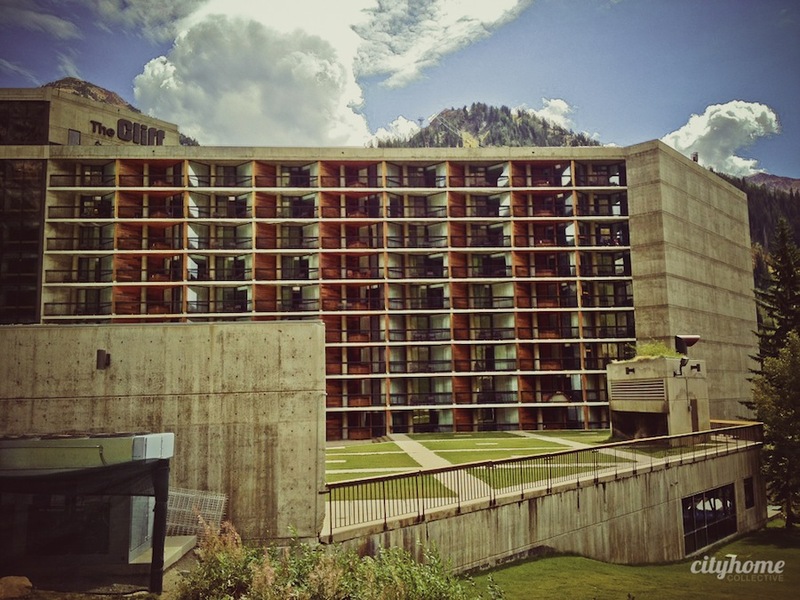 Utah Heritage Foundation has reserved a discounted block of rooms at the Cliff Lodge - contact Snowbird directly for more information (mention Utah Heritage Foundation group).